For years, Hok has hidden her true identity from her brothers at Cangzhen. Now, at last, she can be herself. And yet, who is she? Calm and thoughtful, Hok is a crane-style kung fu master carefully attuned to others, but she has never spent much time looking inward. After barely surviving the destruction of two warrior-monk strongholds, Hok realizes her old world is gone. She finds her way to the city of Kaifeng and begins a new life. But her old life intervenes, and she must join forces with Fu and Seh to pursue the captured Malao. Their quest takes them to the city of Jinan and into the sinister underground world of fight clubs, where matches are fixed and rules don't exist. Against incredible odds, the young monks must use their sharp wits to stay together and their formidable kung fu skills to survive. Grasshopper! 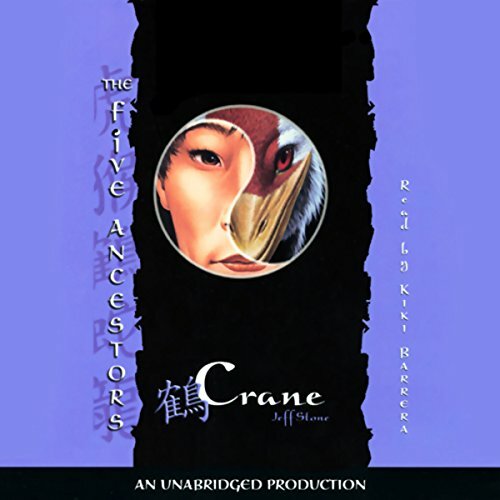 Don't miss the rest of The Five Ancestors series.